Collection of thousands of AFL and Cricket cards in albums and boxes in 2 wine cartons with brands including Select, Regina, AFLPA, Coca Cola, Herald Sun, Advertiser, Australian Dairy Corp, Upper Deck and Futura, with some Basketball and Comic cards. Noted Signature and Redemption cards for Jason Dunstall (2), Greg Williams, Mark Taylor and David Boon and a sealed Michael Jordon Rare Air Tribute set. Also 2 albums of early cigarette cards and some packs of playing cards. Sophia Loren 1997 autograph on U.S. 1997 Bugs Bunny First Day Cover and Dolly Parton autograph on U.S.A. 1993 Elvis Presley First Day Cover. Genuine Russell Yo-Yo Championship Made in the Philippines (2), Russell Super Yo-Yo Made in Philippines (2) and Genuine Russell Yo-Yo Made in Australia Things Go Better with Coke Championship, plus Fanta Genuine Russell Yo-Yo Made in Australia Taste The Fruitier Flavour Championship in used condition. 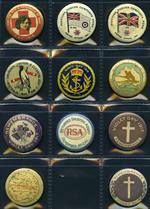 Also range of miscellaneous items including collector cards, 4 different 1950's Fonoscope record postcards and matchbox labels. Selection of 5 Fob watches, 3 with silver cases, all with faults. Collection of hundreds of mainly Australian Redhead brand Matchbox labels including full pack of 12 unopened boxes of 12. (144 boxes). Also duplicated accumulation of Advertiser Medallions. 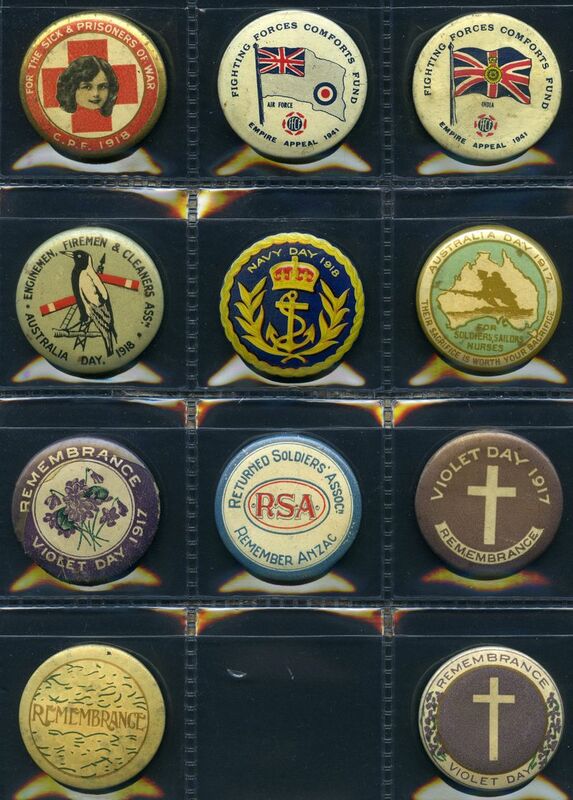 Selection of 11 different attractive Patriotic badges from 1917 to 1941. VG condition. Classic Era of Ford part set of 8/10 Medallions, Golden Years of Holden part set of 8/10 Medallions, Legends of Australian Horse Racing part set of 3 Medallions layered in 24ct gold, Elvis Graceland 60th Anniversary One Dollar proof coin part set of 5 layered in 24ct gold and The Elvis Presley 'The King' Half Dollar coin set of 2 in presentation cases or boxes, with certificates, plus The Ancient Greek Silver coin design collection part set of 9 in presentation folder. Cost Price $2,540.00+.